Have you always loved the look of old-world architecture? Sick of the vinyl siding you see all over town? Stone-cladding offers a way to transform your home without needing to rebuild. Enjoy soft shades of gray, earthy reds and browns, or dark black and steel tones with the stone cladding of your dreams. 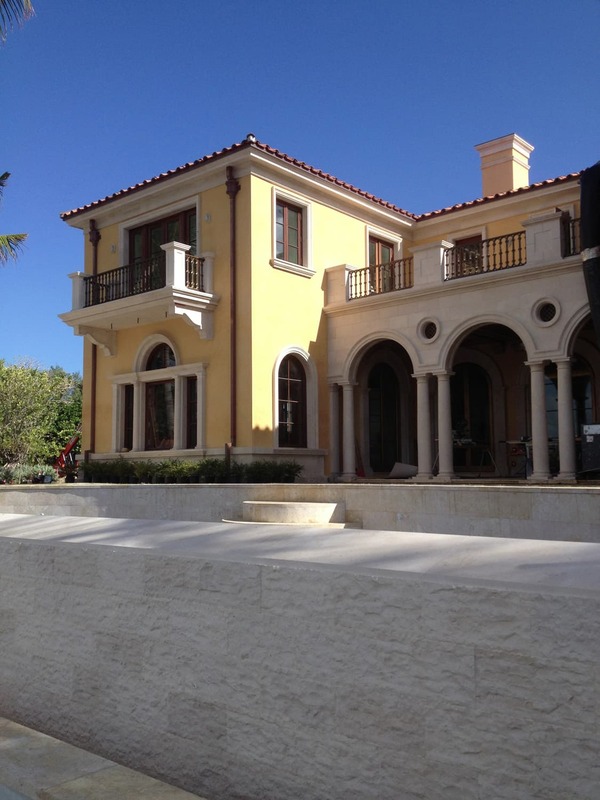 Stone-cladding creates the appearance of richness without the price tag to go along with it. Make your house an opulent castle and do it without waiting eons for the work to be complete. If you’re looking for a way to make a big change with fast results, cladding is the route to take. It won’t happen overnight, but you can expect it to create a flawless finish within a far shorter time than an exterior overhaul would take. Stone-cladding is a siding option for those who have chosen to side their house with materials other than stone. This thin layer is added overtop of original siding for an entirely new look. Homeowners who add stone-cladding to their houses often consider this change like the concept of veneers for your teeth. They go over the original housing without harming the integrity of the building, but simultaneously changing the way that your house looks and feels. Stone-cladding can be added overtop of mesh, a fiber cement sheet, a mortar scratch top coat, or other materials. Stone-cladding is an affordable option alternative to a rebuild and gives you the opportunity to add value and curb appeal to your home. Stone-cladding can be made of natural stone which is cut thinly and applied using a concrete adhesive, but it’s usually made of a light-weight material which only appears to be stone. The material you decide on will change the price of your project. Real natural stone is more expensive than lighter materials which are made to appear like stone. Changing the outside of your home can do a lot more than improve its value, it also sets you apart from others in your neighborhood. Stone-cladding is a great way to move away from the cookie-cutter designs of subdivision housing. Give your home a personality with a unique look that no other homes in your neighborhood are using. Think of stone-cladding to give your home a makeover. Start with the cladding and then add new accent pieces and renovate your garden. By the time you’re finished with the siding and the landscaping you’ll have an outdoor paradise you want to spend your time in. Coffee on the back patio with friends or watching the kids run through the sprinkler on the front yard in the summer. You can create a space you want to be in by changing the look of where you live. Interested in learning more about how stonework can transform your house? Visit us today at BTArchStone.com to better understand our services and products. You can also contact us directly to speak to a professional and well-informed member of our staff. April is Modern Month. 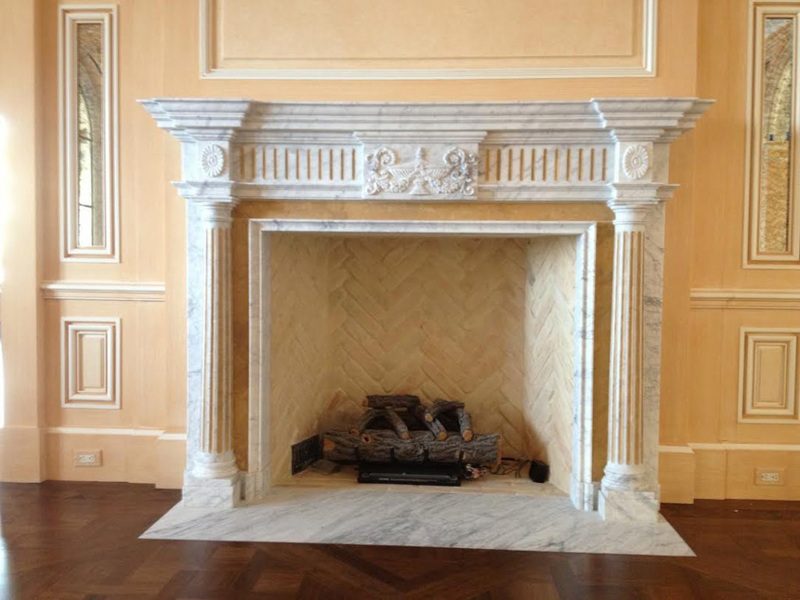 We placed an ad with Florida Design Magazine that features our Modern Fireplace Mantels. Modern Design has been a popular style for many years especially in Cities like Miami, Los Angeles, New York, Denver and Dallas. These mantel designs really lend themselves to tying up the look of a living room going for a contemporary look. Architectural stone is a great choice when designing with a modern theme because of the ability to accentuate sleek lines through out a building. Architectural stone does more than dress up your home. It turns it into a work of art. Here are a few places you can use it to transform your space. Around your fireplace—Imagine walking through your entryway into the living room and setting your eyes on the most gorgeous fireplace you’ve ever seen. Marble climbs up each side, detailed in etchings performed by the most skilled of hands. 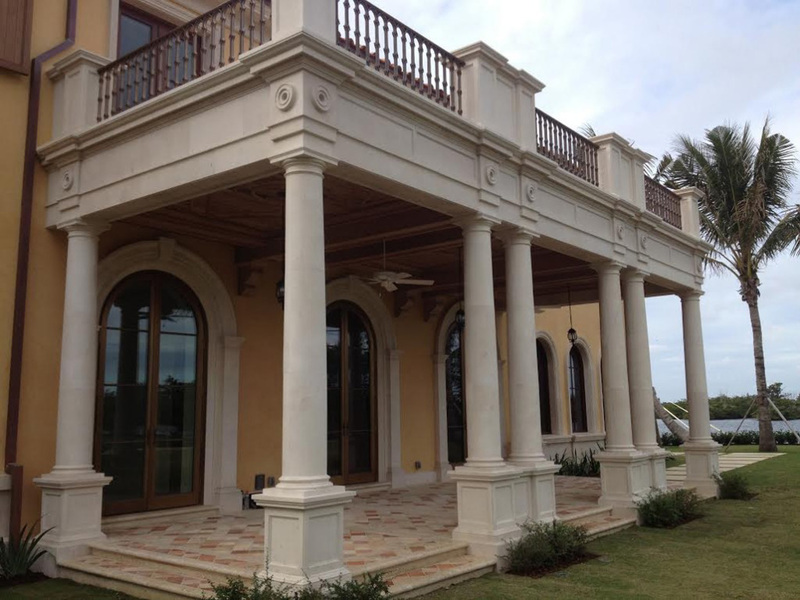 This can be your reality when you choose architectural stone. 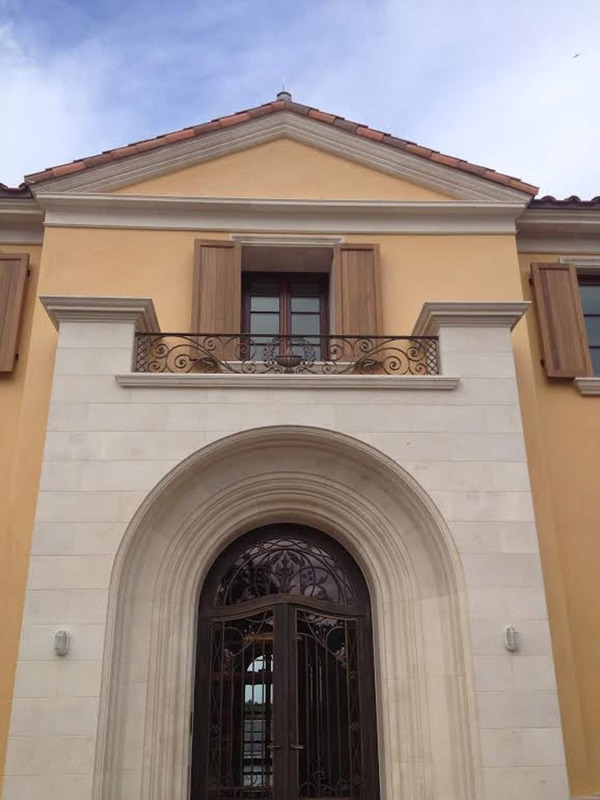 Around your door—Standard door trim can dress up your passageway a bit, but for those wishing to be truly distinctive, architectural stone is the right choice. Hand carved to your specifications, the stone creates an ornate doorway pleasing to all eyes that see them. On Your Driveway—Okay, so this isn’t inside your home—but who says architectural stone can’t increase your curb appeal? Welcome visitors in with a beautiful driveway and let them know from the start what kind of house they are about to enter. 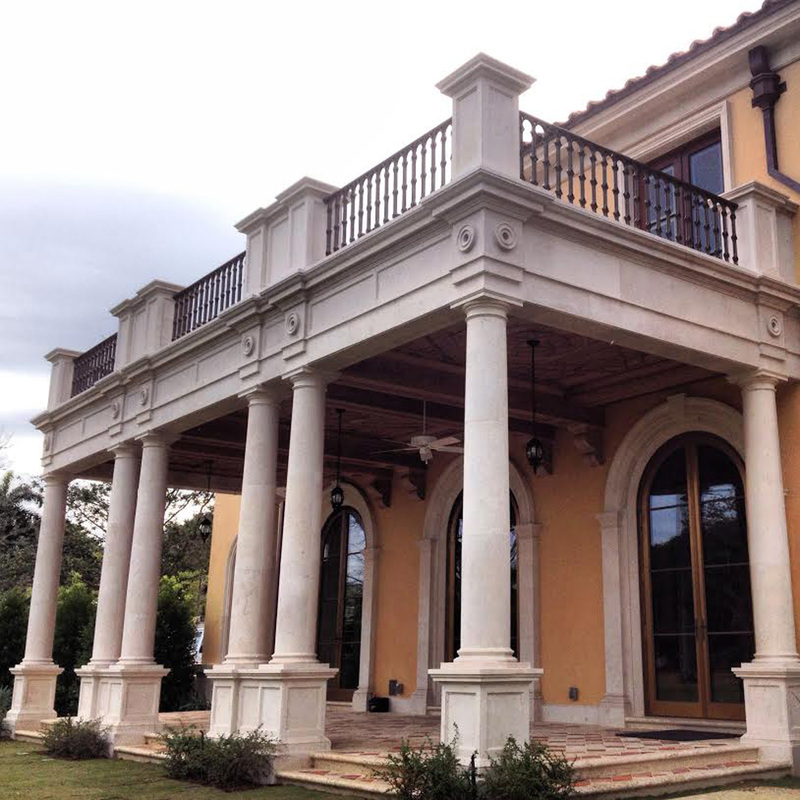 Architectural stone—it’s the right choice for the high quality home.